Dental imaging software provides dental practitioners and assistants with a platform for taking and storing dental x-rays and other images. The capabilities of these products can include imaging interfaces, patient browsers, and tools for enhancing image resolution. Dental assistants and dentists themselves will utilize these tools to properly photograph patient’s mouths, identify problem areas, map out procedure plans, and track treatment progress. Dental image software often integrates with a variety of cameras and imaging technology, as well asdental practice management software to help store and organize patient dental records alongside their other information. Dental Imaging reviews by real, verified users. Find unbiased ratings on user satisfaction, features, and price based on the most reviews available anywhere. 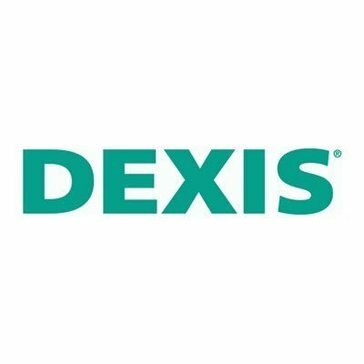 DEXIS Imaging Suite is designed to serve as a highly effective aid throughout the diagnosis, treatment, and treatment planning process. Dolphin Imaging lets you capture organize and present image records with tools for conveying treatment plans and communicate ideas. Tx STUDIO is an integral part of the fast i-CAT workflow and provides the power of multiple software systems combined into one simple-to-use solution. From implants to orthodontics to airway, this comprehensive software offers a wide array of tools that help you plan simple or advanced cases efficiently. Carestream Dental Imaging serves as a control panel for your digital imaging systems with a userface that has been designed for dental radiological diagnosis and can be used as a stand alone or integrated program. CDR DICOM is a digital radiography software based on DICOM's open standard. Invivo5 is a medical imaging software, FDA cleared for clinical applications. Imaging Systems is an imaging solution that provides image quality and helps you manage workflow and x-ray efficiency, and more. 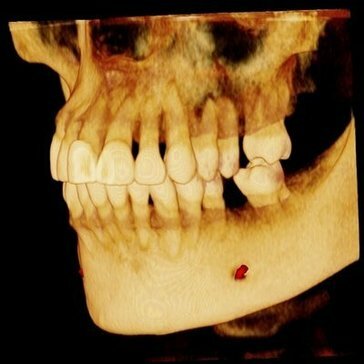 3D Surgery is a comprehensive case planning and presentation tool that animates the patient’s skeletal and facial changes in real time, and outputs to a precise surgical guide. EdgeImaging is an imaging software solution that allows you to manage all of your patient image files with an intuitive interface, features and customization. Prof. Suni is an imaging system that integrates with your practice that has features and customization options to aid the diagnostic process and helps manage patient files. The completely newly developed VistaSoft imaging software provides a particularly efficient solution for the recording, display and editing of digital images. Improved workflows and self-explanatory icons allow the dentist even easier, quicker and more intuitive handling and thus optimised surgery processes. VixWin Platinum combines tools and features that helps with imaging with features such as user interface, image quality, and workflow. Clinically engineered for superior image capture, max compatibility & ease. 360dps is a dental planning software built by doctors. ADSTRA Imaging™ has direct connectivity with high-tech devices from leading manufacturers. ADSTRA Imaging™ alows you to capture dental images from: - Intraoral cameras and video microscope - Digital cameras and paper scanners - Intraoral, panoramic and cephalometric radiographic sensor Add additional devices without having to learn to use additional software. Apixia is a digital imaging software designed with an optional DataGrabber module made to integrate practice management software. Apteryx Imaging is an unmodifiable, secure, imaging format that exports image file formats including TIFF and JPEG for for universal viewing. CADI OPTIMUM is a digital x-ray and imaging system. CAMREX is a imaging software that creates a patient library where users can view, print, and save images. Deep VIew is designed for the acquisition and management of 3D/2D/CEPH digital images. Digital Indirect Bonding System-DIBS utilizes advanced bracket-positioning software and the latest in 3D-printing technology to create precision printed indirect bonding trays. Digital Dental is a 3D digital dental solution, including the dental model scan to dental restoration design. Digital Dentist is a cosmetic imaging solution. Envision A Smile is a cosmetic imaging software. EVAsoft offers a dental imaging software designed to help deliver rapid, effective diagnoses from multiple imaging modalities. Ez Dent-i is a clinical imaging and patient consultations solution. GuideDesign is a module of the Implant 3D software designed to allow the design of guides for performing implant-prosthetic intervention in guided surgery. Image-Pro Premier is a customizable imaging platform. Image-Pro Premier 3D is a 3D image analysis software designed for research professionals. ImageXL from digital x-ray systems including panoramic, sensor, and phosphor plate systems, stores images from any digital imaging peripheral and integrates them into your patient's charts. This is a free, and freely-distributable, stand-alone Dolphin patient viewing program. Implant 3D is a dental implant simulation software and in-house surgical guide creation. INVIVO is a 3D imaging application for dental applications such as implatology, orthodontics, oral surgery, and restorative, that offers quality rendering and visualization and clinical tools for accurate treatment plans. 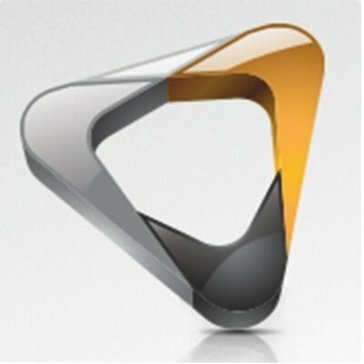 ACTEON Imaging Suite is a Practice Management Software and can be installed on the sharing devices on the clinic's computers as well as on a common centralised database which enables your imaging workflow to run more efficiently. MediaSuite is a digital imaging software that can integreate with most practice management systems with image manipulation toolsets that assists an accurate condition and patient diagnosis. MiPACS Dental Enterprise Viewer is the application necessary for capturing and viewing images. Its open architecture allows you to have the freedom to use any capture devices, while maintaining compatibility with industry standards. Neo 3D is a user-friendly Digital Image Management & Processing Software which icon design supports 2D and 3D display diagnosis on the PC. 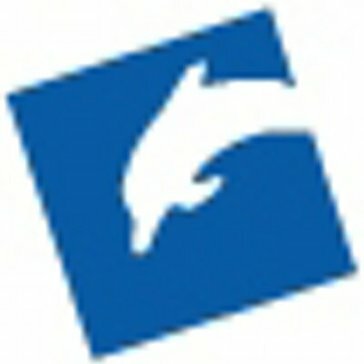 OnyxCeph is a powerful client/server Windows application with SQL database for processing of 2D and 3D image records in dental institutions in particular for image-based diagnostics, treatment planning and patient education in general dentistry, orthodontics, prosthodontics, implantology and maxillo-facial surgery. PaxeraDental is a comprehensive and easy to use web-based PACS solution for displaying dental images. The solution features extensive hanging protocols, including various predefined and customizable FMX template modes. PiCAM Dental CAM Software provides with User-friendly operation, Super fast memorizing, Milling and scanning, process monitoring, Fully automatic generation of NC programs, Unfinished work continued, Group milling, STL file import / export. Pixelease Imaging Software is powerful Windows based dental software designed to make using digital images on your practice's computer easy. The system consists of three components:Photo Base, Photo Studio and Photo Printer. Planmeca Romexis is a software suite that provides tools to meet the imaging requirements set by any dental facility that supports 2D and 3D imaging modalities. QuantorDent Imaging Software provides facilities using 3DISC's FireCR Dental PSP Readers with optimized image acquisition, processing, and management capabilities. Its next-generation user interface allows simple integration into a facility's HIS, RIS, and PACS , providing the full range of capabilities needed for improved productivity and workflow. Hi there! Can I help you find the best Dental Imaging solutions?